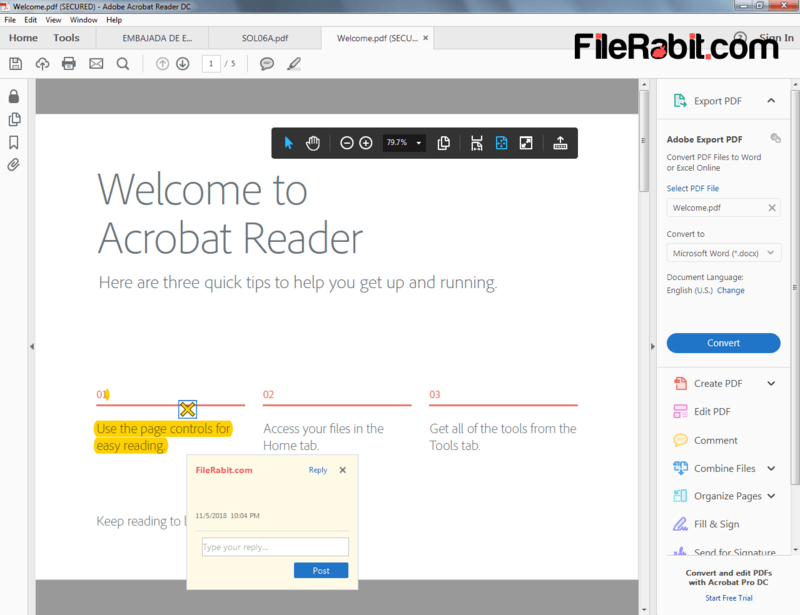 Adobe Acrobat Reader DC is reliable, comprehensive and multi feature office document handler; used to view, save, edit and take printout of personal PDF documents. In simple words, international standard based document filling, printing, viewing and copying tool. It’s professional PDF file interact software that will fulfill user demands. 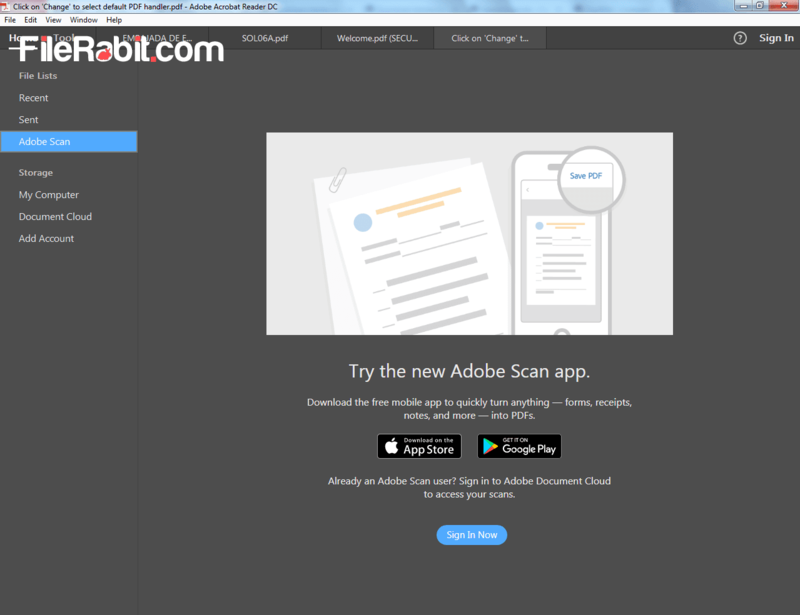 Adobe Document Cloud service is enhanced with Adobe Acrobat Reader that allows you to access personal files from mobile or computer devices easily from anywhere. The software has modern and updated interface with user friendly graphics. It allows you to highlight text, fill forms, insert shapes, add signatures and more. This also enhanced with bundle of workable tools, menus and shortcuts. Open, view, fill and take prints of office documents, exam papers, college assignments, email attachments as well as software helping tutorials. It is full complies with international standards to easily manage PDF documents, those are compiled in any popular language from worldwide. 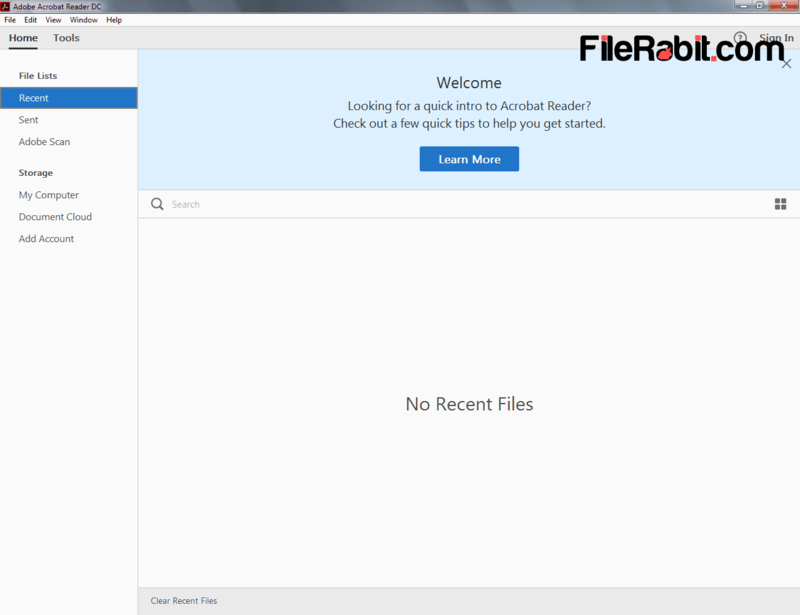 Adobe Acrobat Reader allows to fill electronic documents and get rid from pencil forms. Save more time, save copy of file for record purposes and send file via email immediately. The pro version has features to convert PDF document files into Microsoft Office Word, Excel and PowerPoint (doc/docx/rtf/ppt/pptx/xlx/xlxs) files. It needs personal subscription or join a free trail from Adobe. Both left and right sides are rich with useful tools and utilities. Open a recent document, scan computer for PDF files or get access to secret docs hosted on Adobe Document Cloud service. Moreover, save custom files on cloud service and get access from any device at any time. 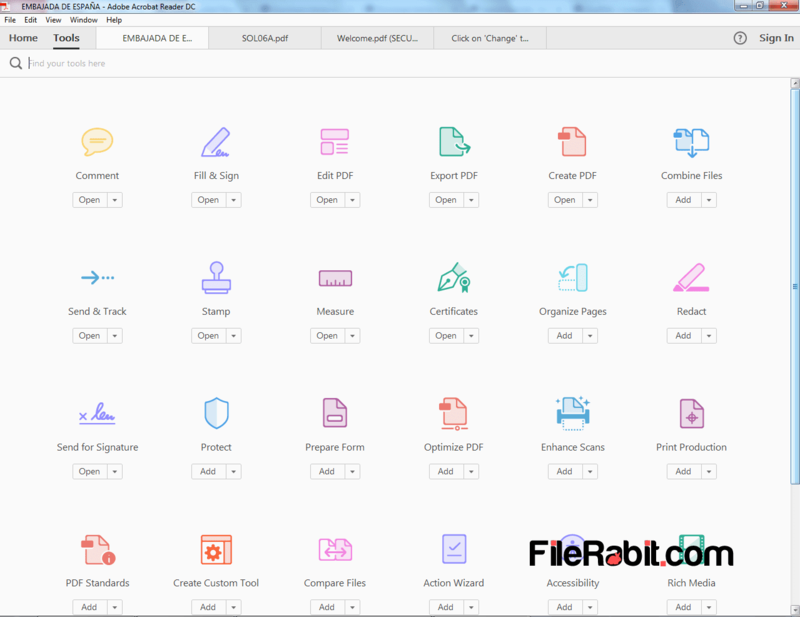 Unlike other PDF viewers, it has dozens of tools to create usability between user and document such as find, take screenshot, rotate, zoom, themes, spell checker, advance search, appropriate security and many more.